It can happen when you least expect it. You’re ready to break open that can of pineapple slices when you realize one fundamental item is missing: a can opener. Maybe you just moved into a new place and haven’t unpacked all the boxes yet, maybe you’re camping out in the wilderness with only the most fundamental supplies, or maybe you misplaced it among the many items in your kitchen drawers. At any rate, the good news is that alternative options exist. While can openers are designed to make it easier, they’re not the only game in town. A can opener uses a small blade and a bit of pressure to cut through the metal, and the same result can be achieved using a regular pocket or kitchen knife. If you’re in a pinch, even a metal spoon can get the job done. 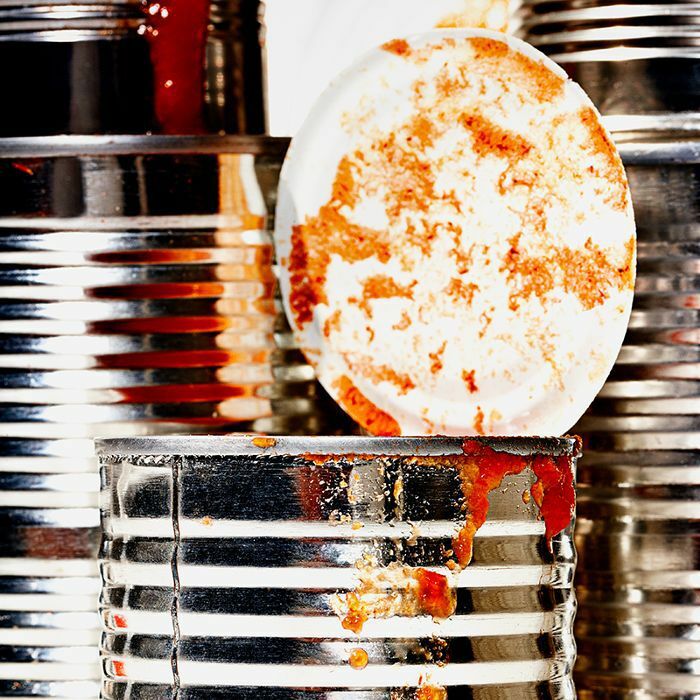 Read on to discover how to open any can without a can opener on hand. The sharper the knife, the better. With that said, any sturdy knife should do the trick as long as it has a sharp tip—butter knives are best left in the drawer for this job. Place the tip of the knife directly over the inner edge of the can. Hold the knife vertically with your hand firmly positioned on the handle. Use the lower palm of your free hand to gently smack the knife from the top downward, penetrating the can. Use caution when doing this, as smacking the knife too hard could cause you to lose control and result in injury. Only apply as much pressure as you need to puncture the can. Repeat this process several times around the entire inner edge of the can, leaving just a few centimeters between each puncture. When you finish, the top of the can should look like circular sewing stitches. Once the can has been adequately punctured, wedge the knife into one of the holes and gently bend it upward. Pry the lid open as much as possible with the knife, and then use your hand to carefully peel the lid off. Be careful not to touch the edge, as it will be sharp. If you can’t find a sharp knife or if you’re concerned about cutting yourself, you can also reach for a large spoon. Press the spoon firmly into the inner edge of your lid and move it vigorously back and forth to create friction. After a couple minutes, the tip of the spoon should penetrate the seal. Continue moving the spoon back and forth while maneuvering it around the perimeter of the lid. This method will require a bit of time and elbow grease, but the lid will eventually break free. If you’re looking to incorporate those canned goods into some unforgettable meals, see four of the best recipes, courtesy of Trader Joe’s.